Matilda the Musical has confirmed it will tour the UK and Ireland from March 2018. The musical, which has been running in the West End for five years , will embark on its first UK tour on March 5, 2018, when it opens at Leicester’s Curve. It will then visit the Dublin Bord Gais Energy Theatre, Sunderland Empire, Milton Keynes Theatre, Birmingham Hippodrome, Manchester Palace and Wales Millennium Centre, where it is due to finish on January 12, 2019. 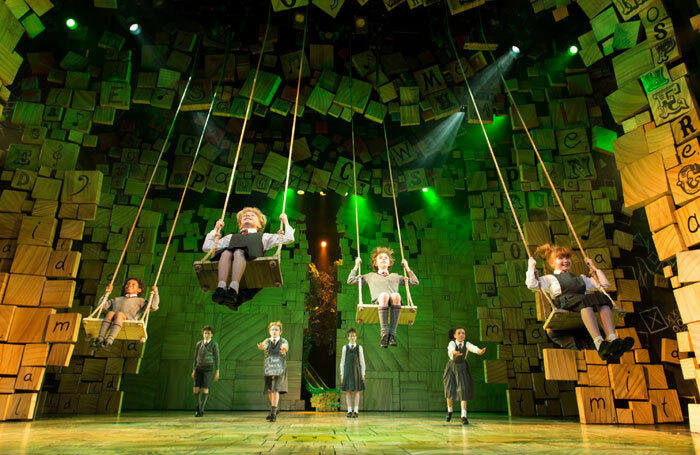 Matilda, by Dennis Kelly and Tim Minchin, originated at the Royal Shakespeare Company in 2010, before transferring to the West End the following year. The production is directed by Matthew Warchus, with design by Rob Howell and choreography by Peter Darling. It is produced by the RSC with Andre Ptaszynski and Denise Wood as executive producers.